In a Nutshell: Only 43% of 12th-grade students tested at or above proficient on the 2017 National Assessment of Educational Progress (NAEP) economics assessment. That startling lack of financial literacy among young adults is one of the reasons the Council for Economic Education (CEE) exists. CEE was founded shortly after World War II and has spent nearly seven decades providing US K-12 teachers with professional development opportunities and classroom resources designed to help students learn more about finance. A five-year digital transformation has brought many of these resources to the Council’s online portal, EconEdLink, with new lessons added regularly. The Council also hosts online webinars and offline workshops, as well as the annual National Economic Challenge that pits top high school teams against each other. The main complaint about today’s education system is testing. Educators — of which I was one for five years — maintain job security only if their students’ grades are high enough on national and state standardized assessments. That leaves teachers spending most of their 180 days each school year teaching to the test. Most of these tests deal with the basic knowledge you’d expect — multiplication and division and reading comprehension that increase in difficulty as students get older. What they almost never touch on, though, are the real-world skills that students need to be successful after graduation. So who is in charge of teaching these skills? That’s a question the Council for Economic Education (CEE) set out to answer just after World War II and continues to respond to today with tools designed for K-12 teachers that create a strong financial education foundation for students. Most of the resources are available through the CEE’s online portal EconEdLink. Recent studies have found that only 43% of 12th-grade students tested at or above proficient on the 2017 National Assessment of Educational Progress (NAEP) economics assessment. These results highlight the need to start financial education early in a child’s life — which the CEE aims to do. When students move into the upper grades, the curriculum expands to meet the needs of modern young adults. CEE’s mission starts by educating the educators with tools and professional development resources that make presenting the curriculum easier. In 2017, new content included cybersecurity — in advance of the credit card and Equifax data breaches. Lessons also focused on Jim Crow laws and natural disasters. 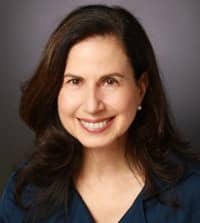 “Those are not comfortable topics, but we know how important they are for kids to learn about and understand the financial underpinnings of,” Nan said. CEE offers offline professional development workshops for educators throughout the year with the help of more than 200 affiliates in all 50 states. Online webinars attract a separate audience to bring the estimated total to 55,000 educators accessing the CEE knowledgebase each year. Nan Morrison is the President and CEO of the Council for Economic Education. Those teachers reach an estimated 5 million students, totaling more than 10% of the population of US schools. Nearly 63% of these educators come from schools serving large numbers of low- and moderate-income students. Tough topics like online security and spotting fake websites aren’t presented solely to older students. Early elementary pupils are given access to programs like “Goldilocks and the Three Passwords” and the “Pacific Northwest Tree Octopus” that are intended to educate on the potential dangers of surfing the internet. In 2014, the CEE launched a digital transformation initiative aimed at reaching a larger audience through online lessons. The centerpiece of that transformation, EconEdLink, has rapidly grown in popularity among teachers and logged more than 1.2 million sessions in 2017. The website takes most of CEE’s educational resources and puts them at the fingertips of classroom teachers. Portal visitors gain access to online compound interest calculators, animated videos explaining tough topics, and other games and exercises that typically aren’t available under tight school budgets. One of the most popular series on the website is Math in the Real World. The application of math to the real world has doubled its total pageviews in each of the last two years and it continues to grow at a rapid pace. Nan said the online tools are intended to help the new generation of teachers entering the classroom. Each year, over 11,000 high school students across the US participate in the CEE’s National Economics Challenge. The event recognizes exceptional students for their knowledge of economic principles and their ability to apply problem-solving and critical-thinking skills to real-world events. The events start at the state level and progress to the national finals, held each year in New York. There, the top teams compete against each other until a champion is crowned. In 2018, the competition is adding a wrinkle that has the CEE excited. For nearly 70 years, the Council for Economic Education has provided professional development opportunities and financially-driven classroom resources to US teachers. 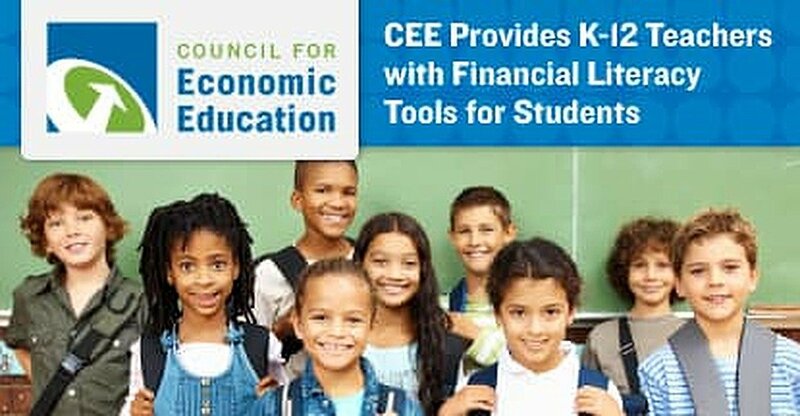 The council’s online webinars, in-person workshops, and the annual Educators Conference helps CEE’s financial literacy lessons meet the needs of more than 5 million K-12 students each year. While that number grows, Nan hopes the move toward digital resources will help even more students. But even more than individual lessons, the CEE’s overarching goal is to continue the plan started when the council was formed shortly after World War II. So while standardized tests — and the unrealistic expectations they often hold — won’t be going away anytime soon, it’s nice to know that there is a group working to shift the focus toward real-world skills that will carry students well beyond graduation.